Add DME to16 oz cold water and boil for 5-10 min. Remove from heat. 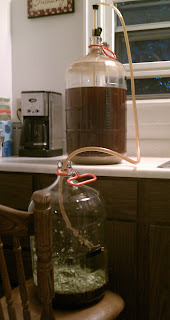 Slowly add to fermented beer in bottling bucket. Siphon into bottles. 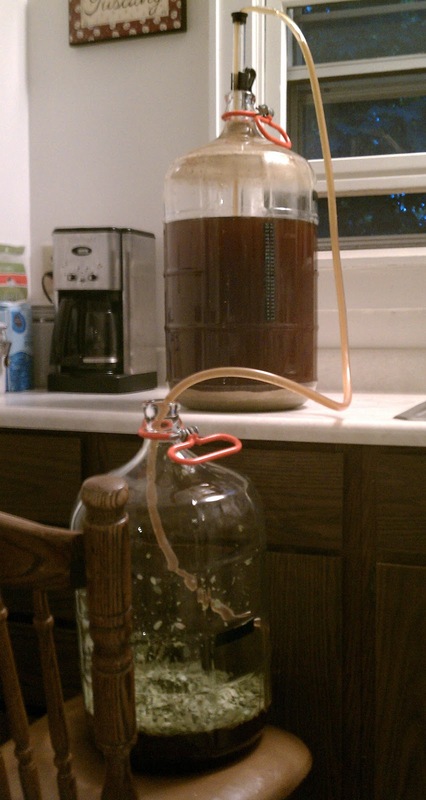 Fermentation is complete. Time to rack to a secondary. 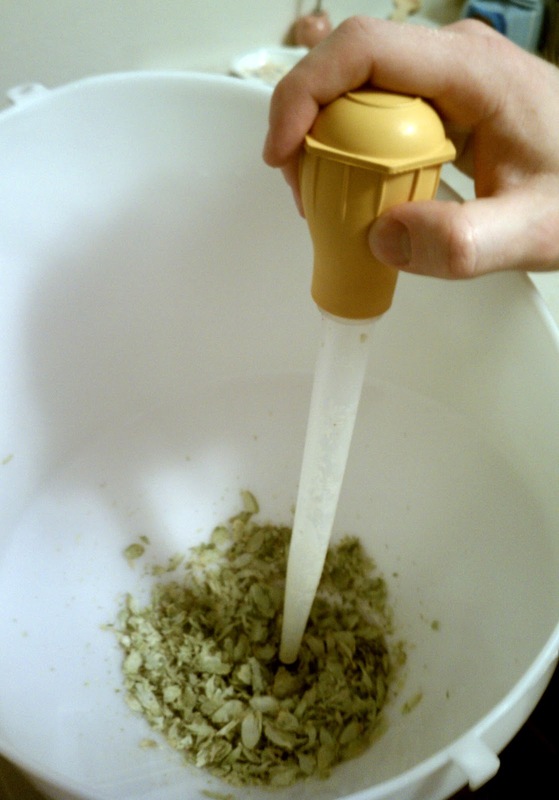 The recipe calls for dry hopping 4-6 weeks to add flavor and aroma to the beer (without adding bitterness). This is my first attempt. Racking went quickly (for once). 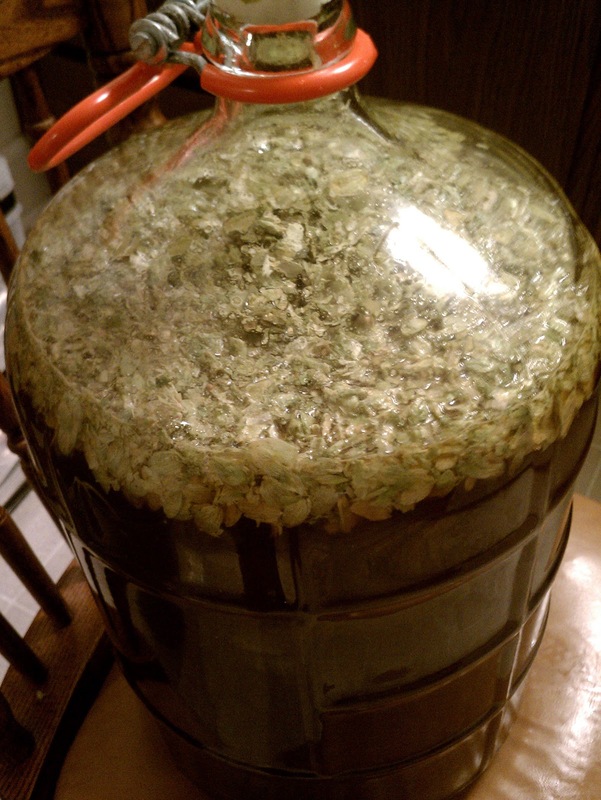 Although I opted to use hop flowers, it was a pain to force them into the fermentor through its neck. I may use pellets for future dry hopping. 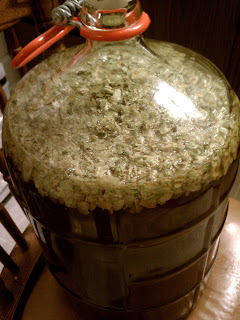 To maintain sanitation, I did my best to crush the hop flowers a bit while still enclosed in their packaging. I used a funnel to get the hops through the neck. The best part of racking: Getting a chance to taste the (nearly) finished product. I predict this will be my best beer yet! Great hop flavor. Well balanced. Here's hoping the dry hop adds a touch more spiciness and aroma. Not much more is needed.